They came to Capri by the thousands: wood pigeons, thrushes, turtle-doves, waders, quails, golden orioles, skylarks, nightingales, swallows and redbreasts. They came every spring to rest upon the cliffs, high up Monte Barbarossa above San Michele, as they migrated to the northern lands. Little did they know that deadly nets awaited them, spread out by the men of the island. They would be caught and sold to Parisian restaurants or blinded to be used as decoys, their singing attracting other birds to the nets. 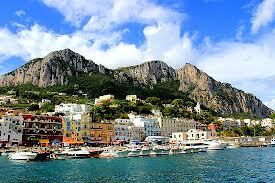 Capri appeared to them as a resting oasis but in reality became a living hell. Born of an age-old tradition inspired by a primitive culture, one man challenged everything. 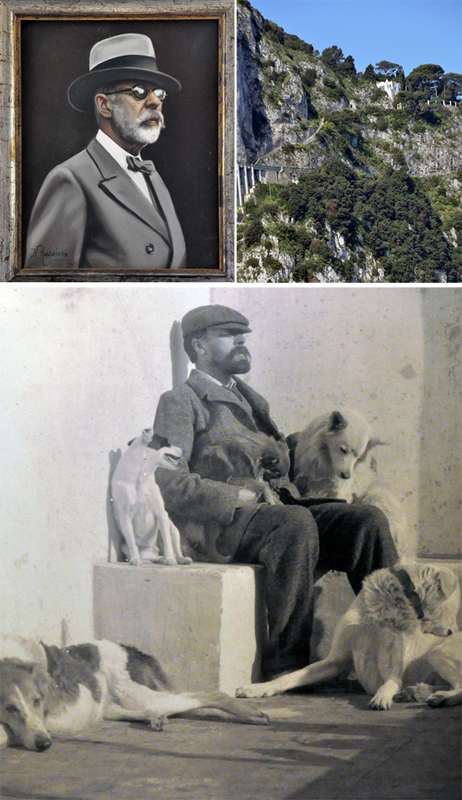 Axel Munthe, tormented by this massive bird slaughter, appealed to the higher powers to ban this merciless act. When he was refused, he trained his dogs to bark at night. He fired a cannon. He did all within his power to end this cruelty until, years later, he bought Monte Barbarossa from the ex-butcher who for years had blinded some of the captured birds. He turned it into a bird sanctuary. Fully realizing that many of the islands poor made their living from the bird hunt, he entitled them to the sanctuary’s proceeds. What kind of man would go to such lengths to transform a way of life? Who would risk all that he had, all that he was? A reputation he had worked hard to earn? A man who battled death relentlessly, fighting hard for the living? A soul full of love and mercy? A dreamer of light and life and beauty? A Swedish physician, born in 1857, Axel was all of these. 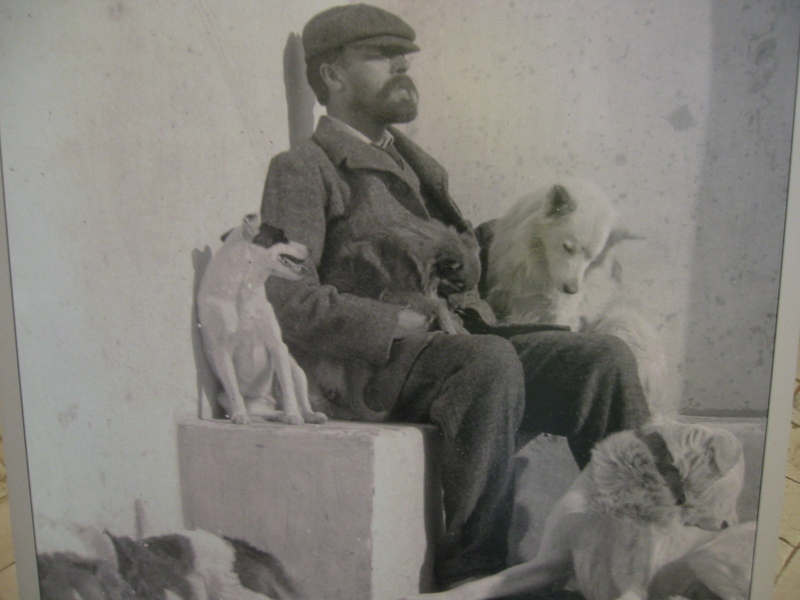 A humanist, writer, philanthropist, and lover of animals, he knew the depths of despair as a Red Cross relief worker in the Naples cholera epidemic of 1884. He witnessed the never-ending triumph of death. Accompanied by a donkey named Rosina and his dog Puck, he made his daily rounds through the squalor and sickness. Undaunted, however, throughout his life he continued to travel and supply medical aid to the needy while also supporting soup kitchens, orphanages and children’s clinics. Axel truly lived his calling as a physician. And yet his spirit remained free to inspire, to create, to invite others to dare to dream. But how was he able to provide free healthcare to the poor? 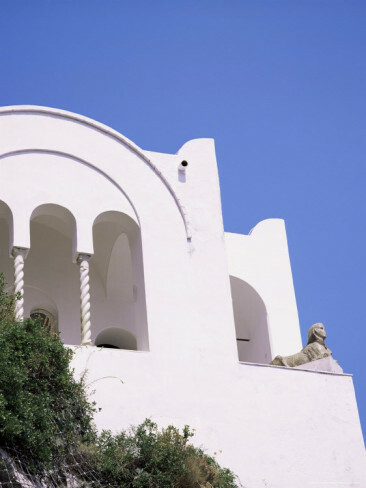 What enabled him to build San Michele, to purchase Monte Barbarossa and his other properties on Capri? He attended the rich to minister to the poor. His practice in Rome was geared toward the wealthy, the foreign dignitaries in residence, including the royal Swedish family. He soon earned the lofty entitlement as Queen Victoria’s personal physician, which he kept until her death. Ah, the animal lover….Imagine a home with eight dogs, turtles, a mongoose, a Siamese cat, a little owl, and a monkey named Billy. These were his delight at San Michele. Billy, however, never ceased to exasperate him. A right roguish lad, he fought with the Fox Terrier, kidnapped the Siamese kitten, and ate the turtle’s eggs! 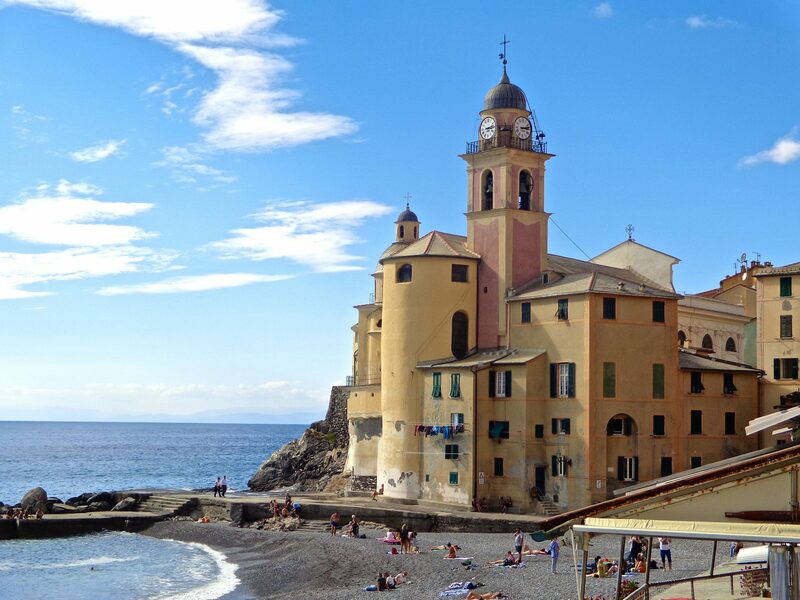 Passing through San Michele, I couldn’t help but feel inspired by the light and shades of color that so attracted Axel. He believed that the soul needed more space than the body, a longing for beauty, which he imaginatively expressed through San Michele. Light and airy, boundless and free, a brilliant refuge from the darkness, created to inspire dreams, visions, playful pretense, to create, and to heal. Yet sadly, the very thing he desired most in life became impossible to bear. His eyes were weak, and intensive sunlight on Capri became too much to tolerate. He wore dark glasses, but eventually was forced to flee to the west side of the island. 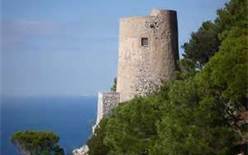 There he lived in his shadier medieval fortress Torre di Materita. In the final chapter of his book, “The Story of San Michele,” published in 1929, he describes a scene where he is in heaven standing before the judgement seat. Already angry with him for his earthly conduct, he is rebuked by the Old Testament forefathers for bringing his old faithful dog, who waits for him at heaven’s door. Suddenly birds flutter around him and bring him help in the form of St. Francis of Assisi. The slight Umbrian saint, surrounded by a flock of birds and his following of beggars and outcasts, comes up beside him. His very presence calms the multitude. Axel rests his head on the frail saint’s shoulder, passing into eternity. If you enjoyed this article, please click like and share with others. Grazie Mille! I grew up with the book in the 50s ( The Story of San Michele ) and have loved it and it’s author ever since. Thank you for your wonderful blog. Cornelia, you are most welcome. His story really caught me in a special way. To be there walking through his villa just made it all the more meaningful. Thank you for your comment. 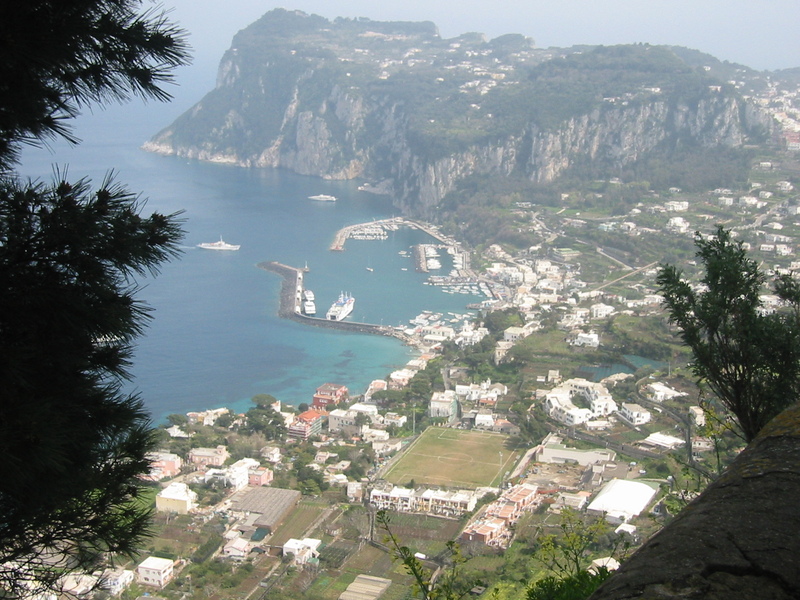 Sorrento and visit to Capri. What a great man. Wish I could be more like him. I so agree with you….he was amazing. I highly recommend you read his book, “The Story of San Michelle.” It gives you a glimpse of who he really was. Fantastic book.